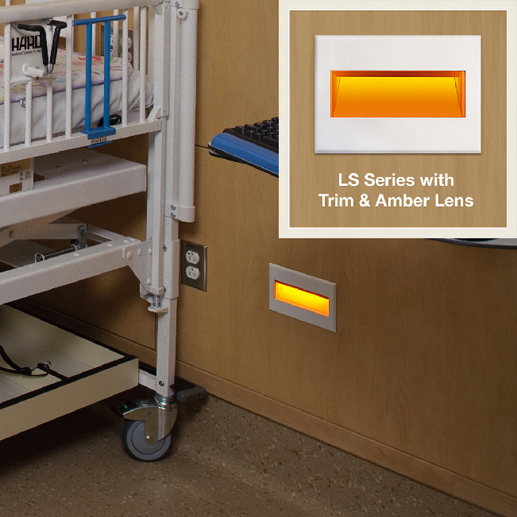 ELP’s LS Series step lights were utilized though out this Neonatal Intensive Care Unit. They were specified with the HG (Hospital Grade) option which includes a gasketed, sealed faceplate and anti-microbial paint. Fixtures were provided with an Amber lens to be used in a “nightlight” application and not interfere with the infant’s circadian rhythm. Sleep well little ones!